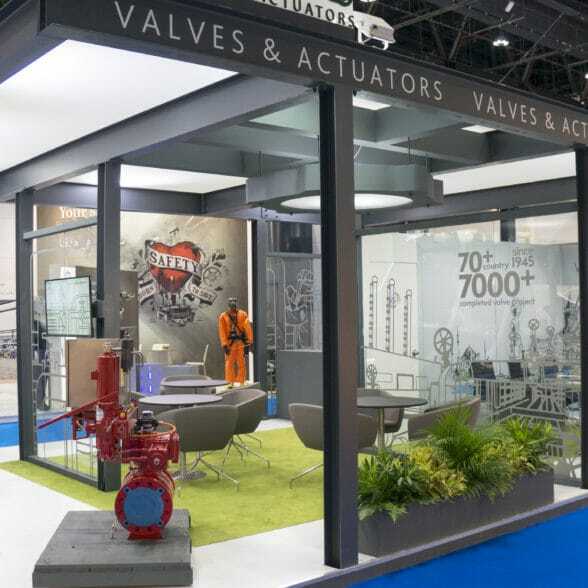 Vastas is a Turkish company that designs, manufactures and repairs valves and actuators. It is mostly active in Gulf Countries & Turkic Republics yet it serves more than 70 countries worldwide. As one of the leading valve companies in Oil & Gas Pipelines, it is accepted as one of the top 5 in “Valve & Actuator Combined System” manufacturer Europe and around. 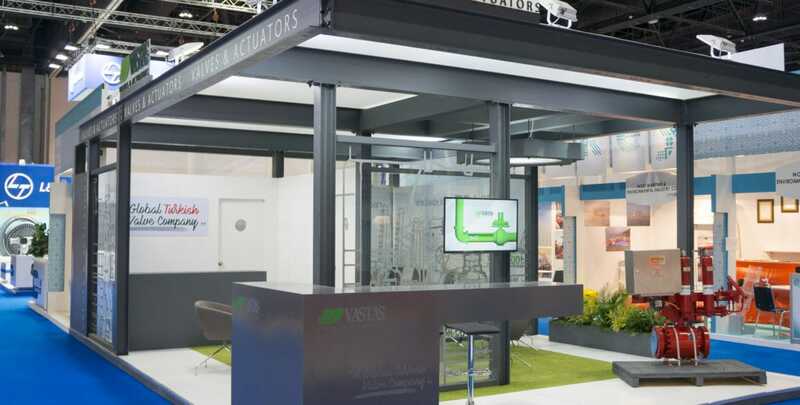 The Vastas briefing was to create a modern, bright as well as industrial booth design and to develop a corresponding brand experience with emphasis on the fact that Vastas is a manufacturer. For us a huge and inspiring challenge to combine the “contemporary era” with the industrial Vastas heritage. The result is an open and transparent design and brand experience concept. To underline the industrial component the overall construction was made from steel. 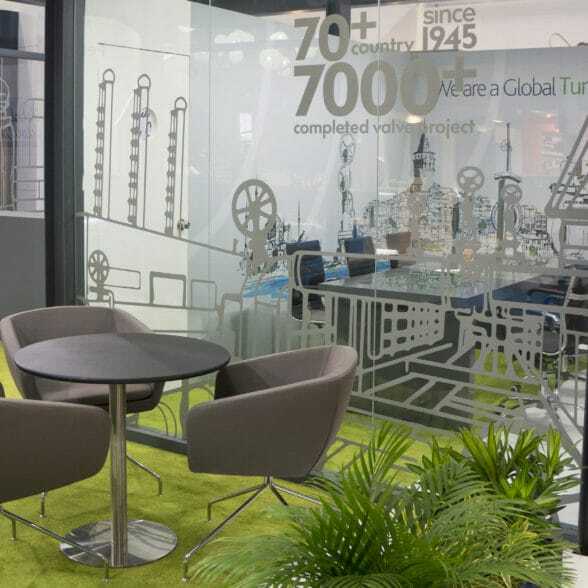 Regarding the subject of artwork, we designed and created a fine selection of glass panels – integrated in the construction – representing graphics of Vastas products and solutions, inspired by the Vastas corporate movie. The open pavilion concept allows space for product presentations, informal gatherings in the hospitality area, catering and a separate transparent-walled conference room for more in-depth meetings.